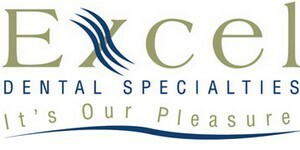 Thank you for selecting Excel Dental Specialties for your Endodontic care. We are committed to serving this community and committed to providing you with the highest dental care possible. In order to achieve our commitment, it is necessary to implement the following financial policy. The fee for your endodontic treatment will be based on the extent of treatment. During your first visit we will discuss the probable number of visits, their length, and the fees involved. Endodontic fees usually range from $875 to $1,600. We take most insurances. Please call our office 301-668-3000 and we will be happy to go over any questions regarding participation, fees, and coverages. 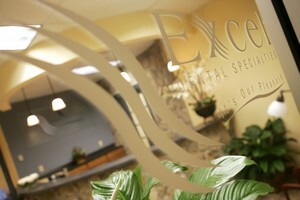 Fees for your treatment are due at the time of your visit to our office. For your convenience we accept American Expresss, Visa, MasterCard, Discover, and cash. We currently do not accept checks. PLEASE NOTE: Filing your insurance claim and waiting for payment from your insurance company is a courtesy that we offer our patients. We have no influence or control over your insurance policy or insurance company. The entire fee for your treatment is your responsibility if your insurance company chooses not to cover the treatment. For patients who would like to reduce their initial out of pocket expense, we will gladly submit your fees to your insurance company. In order to do this, we obtain an estimate of the amount your insurance will cover. These estimates are occasionally inaccurate. Your insurance company sets a yearly maximum they will pay for each patient. This yearly maximum varies from insurance company to insurance company. If you have used a portion of your yearly maximum at your dentist office, the insurance company may not have all of your claims processed so they will report an inaccurate available amount. Your insurance company may also set a procedure limit, which is usually lower then what a reasonable fee is for the procedure. You will be responsible for the difference. It is our policy to charge interest of 1.5% per month (18% Annual Percentage Rate). This will be applied to accounts over 30 days past due. We will charge $20.00 for returned checks. Root Canal Treatment is a surgical procedure. The time reserve for you is 1 ½ to 2 hours. Once an appointment has been made, this time has been reserved exclusively for you with appropriate staff to serve your dental needs. Canceling without adequate notice makes it difficult for us to meet the needs of other patients.